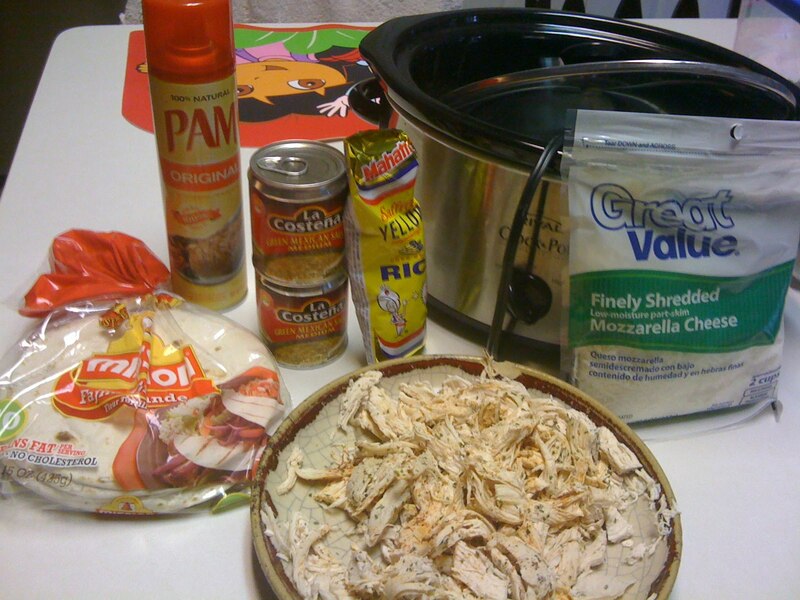 Continuing with my budget friendly menu plan tonight… this was a recipe I have had for a while but never tried. I got this recipe from a friend, Emily Gaitonde, who found it in a crock pot cook book called 5 Ingredients or Less. This is a super cheap meal. I made some yellow rice to go with our enchiladas. Spray crockpot with Pam. Pour just enough sauce to cover the bottom. 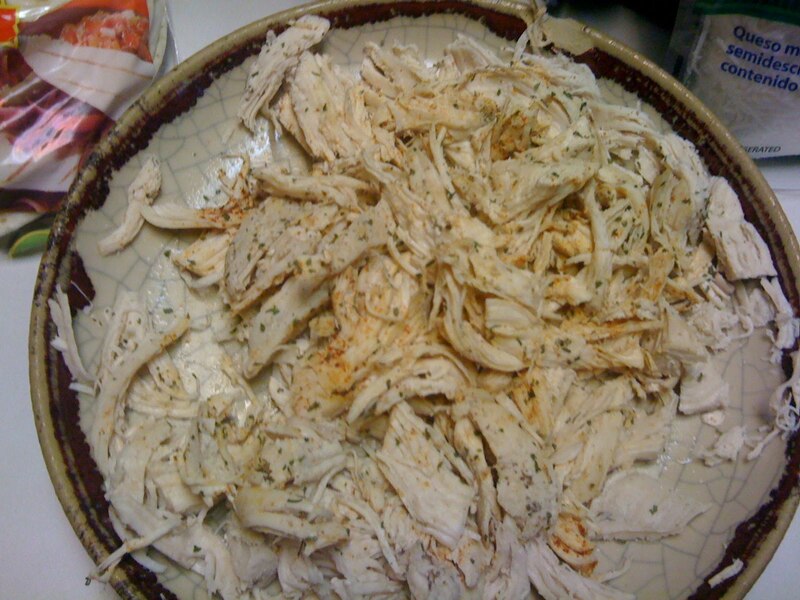 Layer 1 tortilla, 1/4 cup chicken, 1/4 cup sauce until all ingredients are used up. Sprinkle cheese on top. 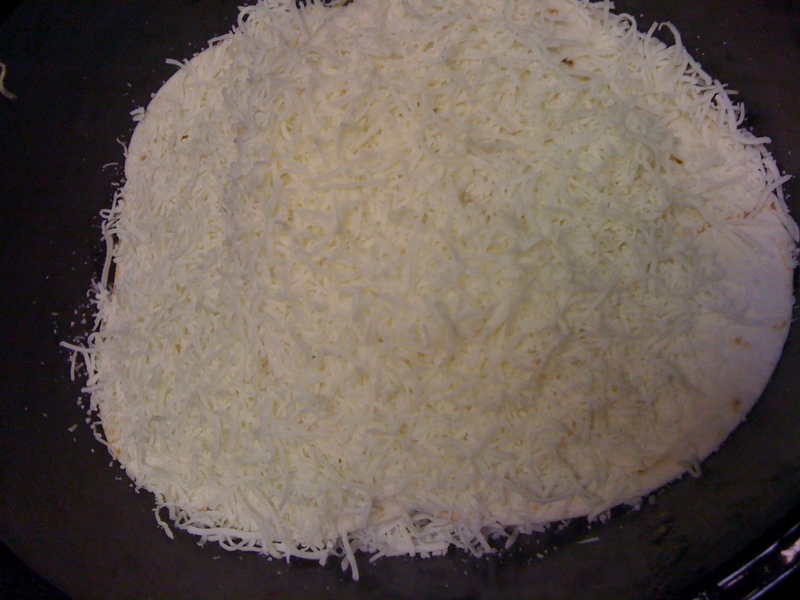 Cover and cook on low until cheese is completely melted. This takes my crockpot about an hour. Guess what, I didn’t follow the recipe completely. You guys should just assume this. I just couldn’t put my chicken in the crock pot naked. I added some chili powder and cilantro seasoning to it. I cooked my chicken by throwing it in a pot with boiling water. I saved the broth it made. I plan to use it when I make chicken bog tomorrow night. When you layer your ingredients you can layer it like lasagna …. across your pot. This by the way was so good! I had my doubts but it was good. Here is one mistake I made. The enchilada sauce I bought was medium. I couldn’t find the mild in the store. I thought for sure us Normans could handle the medium because we have been living in San Antonio for almost 5 years now and we can handle some heat. So wrong. These taste buds weren’t quiet ready for all that heat, but it was so good we refused to stop eating it. Why do we punish ourselves like this. Paul must have read my mind because immediately after dinner he starts handing out fruit to cool off our palates. This is a keeper for our rotation!